An award-winning consultant, Phyllis’s 25 years of experience as an entrepreneur in both business-to-business and consumer-focused industries allows her to make powerful connections and generate instant rapport whether in the board room or in the field. A certified coach for 25 years, she is known as an exceptional facilitator with an eye to bottom-line impact. She works both as a coach for Executives and their teams and as a coach’s coach. 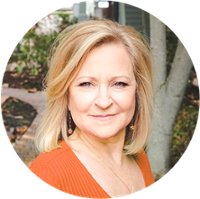 Phyllis works with an international clientele and specializes in Facilitated Executive Group Coaching. Phyllis’s expertise in management, communication, and coaching make her a unique asset for our clients in both group and individual scenarios. Phyllis’ philosophy is that there is an opportunity for greater success when there is an alignment of desired outcomes between the client and their company. Phyllis believes that her clients have the ability to achieve the outcomes they are looking for and provides the support they seek in discovering the resources needed to achieve their desired end result. Phyllis takes a holistic approach when it comes to her clients. She allows active listening to play a large role in her work as a coach, staying attentive to expression, emotion, mood and body language. As an experienced sounding-board, Phyllis helps her clients to design the critical and often difficult conversations that can make or break a career. She creates an environment where her clients can analyze scenarios from all angles so that together they can select and design the best possible solutions. I like to help my clients to be more visible – to find their voice and bring them to their full potential. And I believe that we are partners in doing so. Phyllis is currently working toward achieving her Master Certified Coach (MCC) credential.